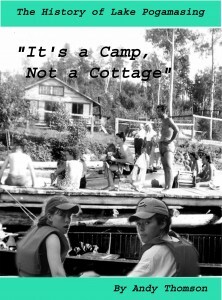 The original title for my book on Lake Pogamasing was ‘It’s a Camp not a Cottage’. In choosing this title I wanted to explain why we refer to our wilderness retreats as a camp, instead of cottage as used by others, especially in southern Ontario. There is a very good reason for this difference, although it is not so obvious today. In the past, most camps in the north originated for a temporary purpose, such as for logging, fishing or hunting. Our place on Pog was the site of a former logging camp, as seen in the above photo so we naturally felt an affinity for the name. This distinction, and the rustic nature of the buildings, the back houses, kerosene lamps and ice box refrigerators, is an important element of our connection to our history and one which I hoped such a title for my history on Pog would convey. 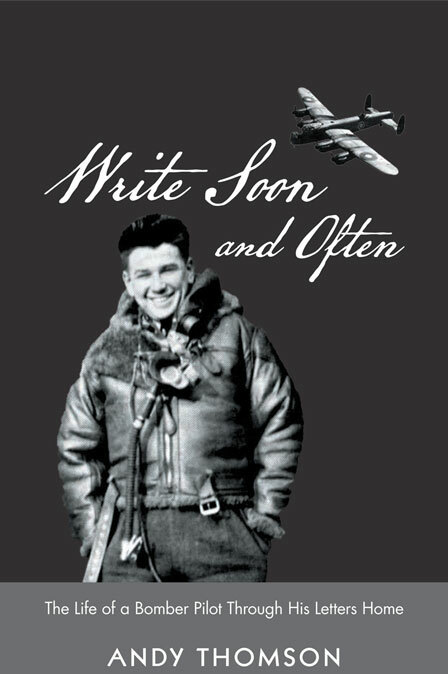 However, after having read an early draft of my book, my publisher, John Denison, suggested that the title was not representative of the essence of the book. As a result, I came up with ‘Pogamasing: The Story of a Northern Lake’. In retrospect it was a wise decision. The original title may have been catchy, but it might cause confusion with the content of the book for those beyond the north. In addition, having the lake’s name in the title was advantageous as it attracted many interested online readers searching for web related material under the key word ‘Pogamasing’. Naturally, our friends were stumped as to what they meant. How could a place on a lake in southern Ontario, or New Liskeard, be so different from a place in the Sudbury area as to warrant a different label. Torontonians had their own meaning for camp: It was where you sent your kids for the summer to learn crafts, swimming, and go canoe-tripping. This new usage of camp caused great confusion among our Toronto friends. 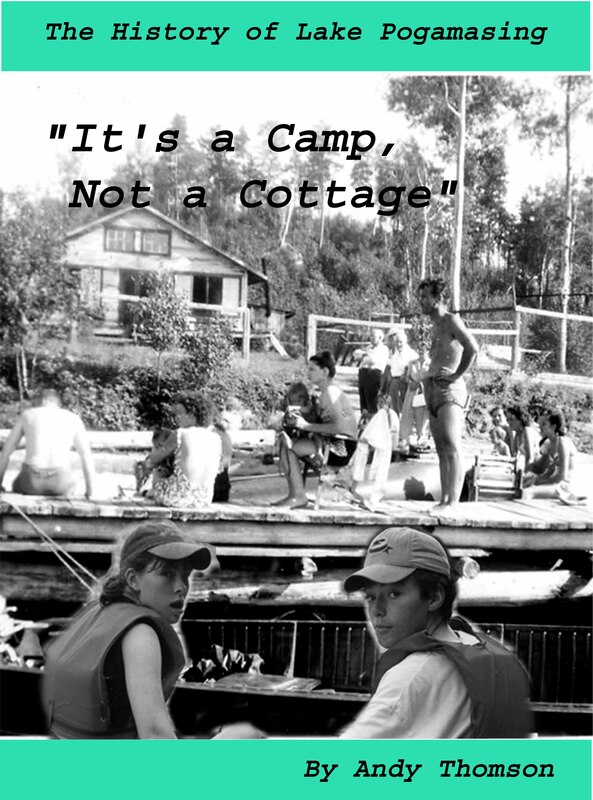 “Just what is a camp?” they demanded to know. Although I tried many times to explain the difference, it wasn’t until I began researching the history of Pogamasing that I came to a clearer understanding. Early settlers in southern Ontario came from a British tradition and used much of their terminology. If people had a rural cabin by a remote lake they called them cottages. However, in the northern part of the province, very few could afford such a luxury. Shelters for living in remote areas were usually built for a temporary purpose, usually to earn a living, and when they were no longer needed they would be abandoned or dismantled. The main actors in Pog’s history all came for a specific purpose within a limited time frame: to hunt for a season, to conduct a government survey, to build the railway, or to cut the timber. Their shelters were called camps, due to the temporary and rustic nature of the structures. The Anishnabe were the exception in the sense that they returned to the area year after year, although their wigwams were usually constructed for a hunting season and had to be re-built each season. It wasn’t until after the Second World War that city people came and built more permanent cabins to enjoy the wilderness. By then ‘camp’ was now embedded in our language and virtually no one in the north used cottage to describe them. So when I was looking for a title for my history of Pogamasing “It’s a Camp, Not a Cottage” was a natural choice. I also added a sub-title: From Anishnabe camp to logging camp to fishing camp to family camp, in reference to the four historical periods. As you will learn from my story of Pogamasing, the temporary nature of our buildings is no longer the case, as we don’t ever plan to leave. Our camps have become permanent, both in structure and time. Many families have begun a tradition and like my own family are now into our fifth generation. So we will continue to use camp whenever we refer to our cherished places in the bush. Will this tradition of calling our camps continue? With the influx of so many southern Ontarians it will be up to the steadfast northerners to keep up our uniqueness. Well done Andy! I am really enjoying reading all this. Hi to everyone at ‘the Plauntation’. 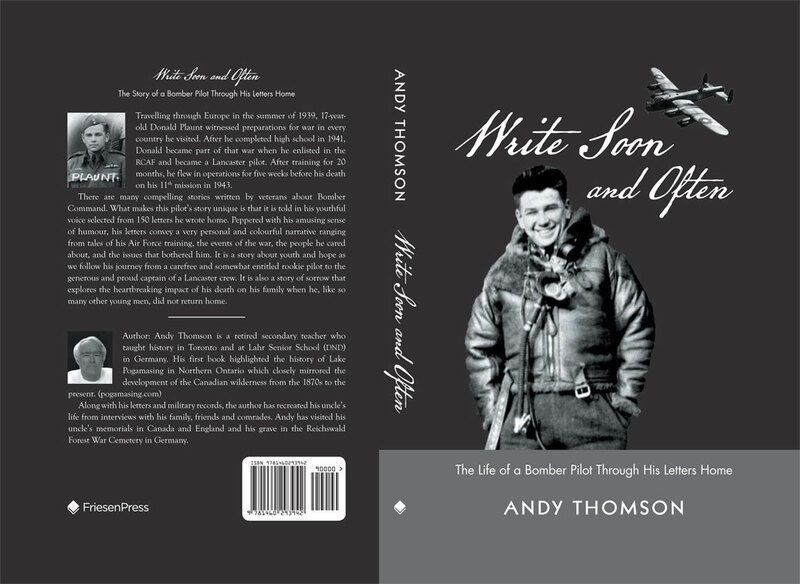 Correction: Hi Andy: Spelling error on ‘Plauntion’. Make that ‘Plauntation’ . Last time I visited you & Guy at your camp, I think the population was 53. It was the Labour Day weekend Princess Di was killed. Wow! So glad to have found your blog. From what my dad, Felix Bourgeois, told me about Pog, he had a hand in helping to build the camp there along with another fellow named Otto who I think he said worked for your uncle Bill in those days. Anyway Andy, Thank You so much for compiling all of this awesome information on an place so rich in culture, that I was almost a part of. Sorry for not responding sooner but I just found your comment today. I also remember Marguerite well as she was at Pog a couple of summers helping Agnes. How is she related to you? a cousin or sister? I remember that Otto was helped by Agnes’ brother but I thought it was Phil. Your Dad possibly helped Otto build Bill and Agnes’camp and then Phil helped Otto build my parents in 1947. I was five or six at the time so don’t remember everything. Glad you enjoyed the stories.